I´m familiar with the American Defense figures, but I didn't know these vehicles exist. I cannot find anything about them online (yet). 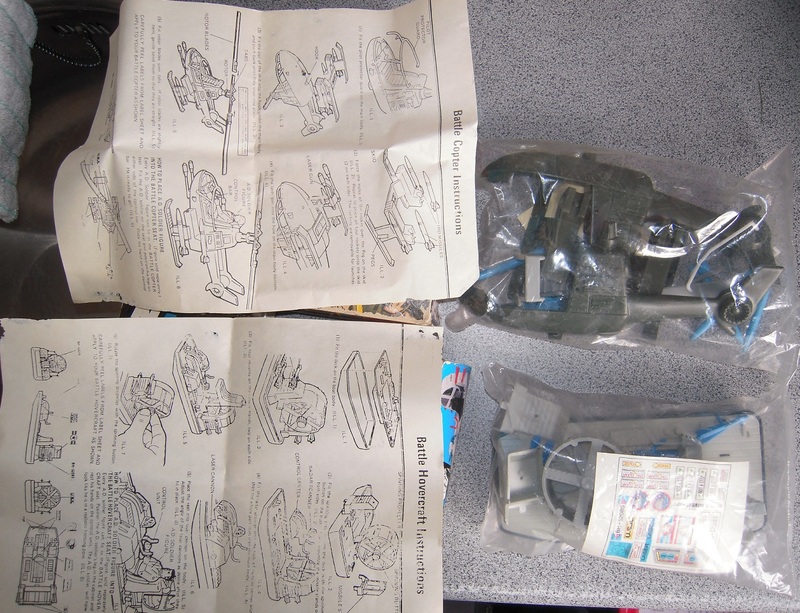 Though they must be made by Remco, there's no brand logo on the box, instructions or vehicle parts. 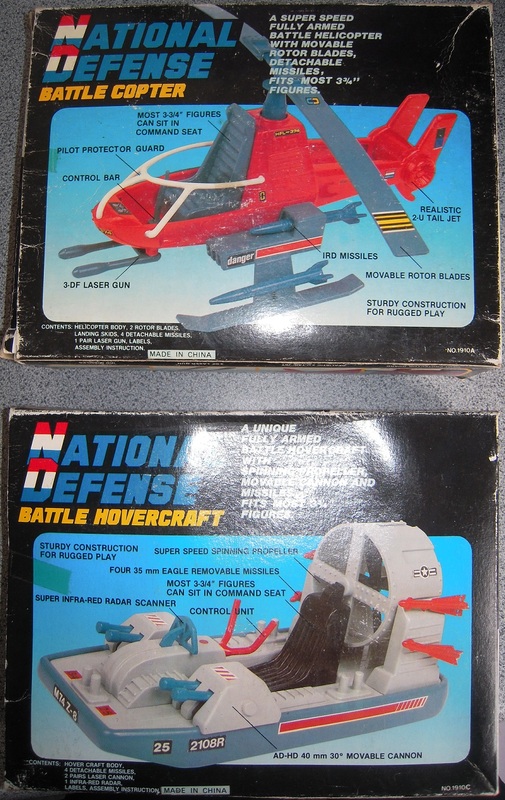 I think I'm gonna sell the Battle Copter, (not sure about the Hovercraft) so I'm looking for more information. Very likely not REMCO. 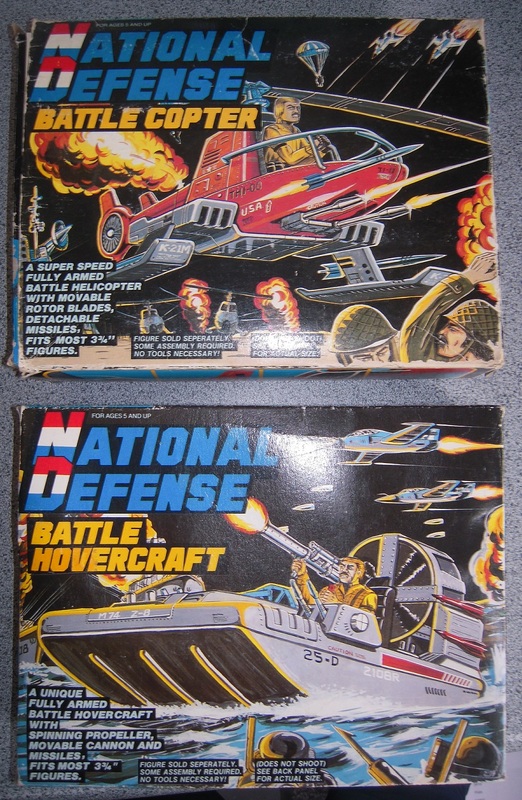 This is a common, perpetuated mistake because K-MART used the American Defense name for toys made by 3 or more manufacturers over the course of that store brand's name. Remco just happened to have the longest run of them. 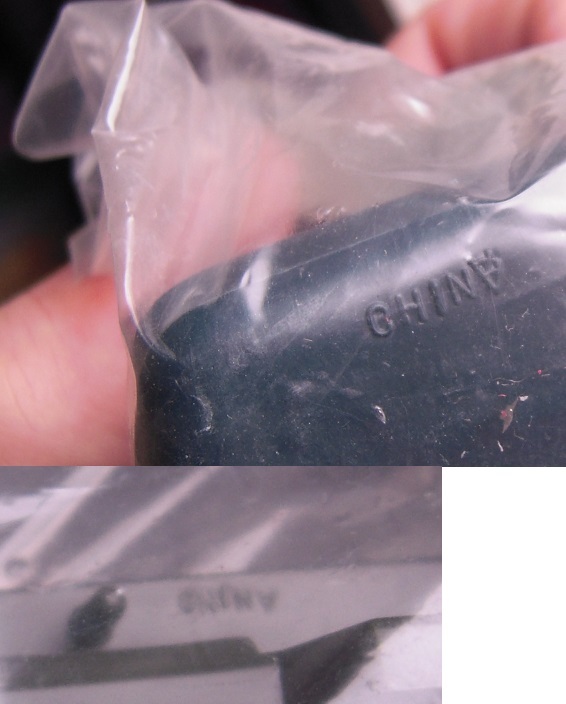 The first American Defense figures were bootleg or purchased molds previously used for A-Team/Gen. Patch. 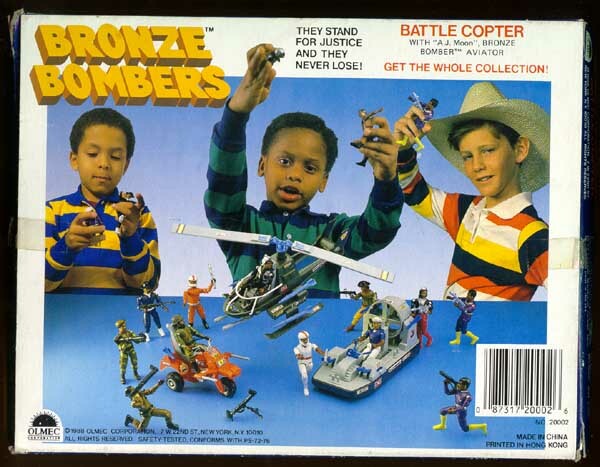 These same vehicles appear in various knock-offs like National Defense and as part of the original Bronze Bombers series.